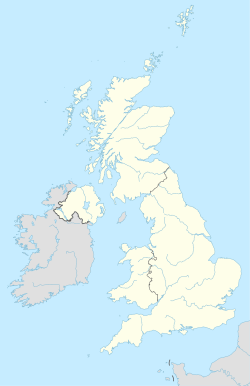 The SM postcode area, also known as the Sutton postcode area, is a group of seven postcode districts in England which are subdivisions of five post towns. These postcode districts cover part of south-west London, as well as a small part of north Surrey. The main sorting office is in Sutton, with outgoing mail being sorted at Croydon Mail Centre, and the area served includes most of the London Borough of Sutton, while most of SM4 covers the southwestern part of the London Borough of Merton and most of SM7 and a small part of SM2 cover the northern part of the borough of Reigate and Banstead in Surrey. SM2 also covers the village of East Ewell in the borough of Epsom and Ewell. Although the official explanation for the M in the postcode is unknown, reference can be made to either Morden, one of the post towns situated within the area, or the London Borough of Merton, though Merton proper and much of the borough bar Morden and Mitcham is within the London SW postcode area. SM postcode area map, showing postcode districts in red and post towns in grey text, with links to nearby CR, KT and SW postcode areas. ^ a b Address Management Guide (5th ed.). Royal Mail Group plc. March 2007. Retrieved 28 October 2012. ^ Office for National Statistics (1999). The Official Yearbook of the United Kingdom (PDF) (2000 ed.). London: The Stationery Office. "UK Postal Areas", map opposite p. 5. ISBN 0-11-621098-2. Retrieved 28 October 2012.